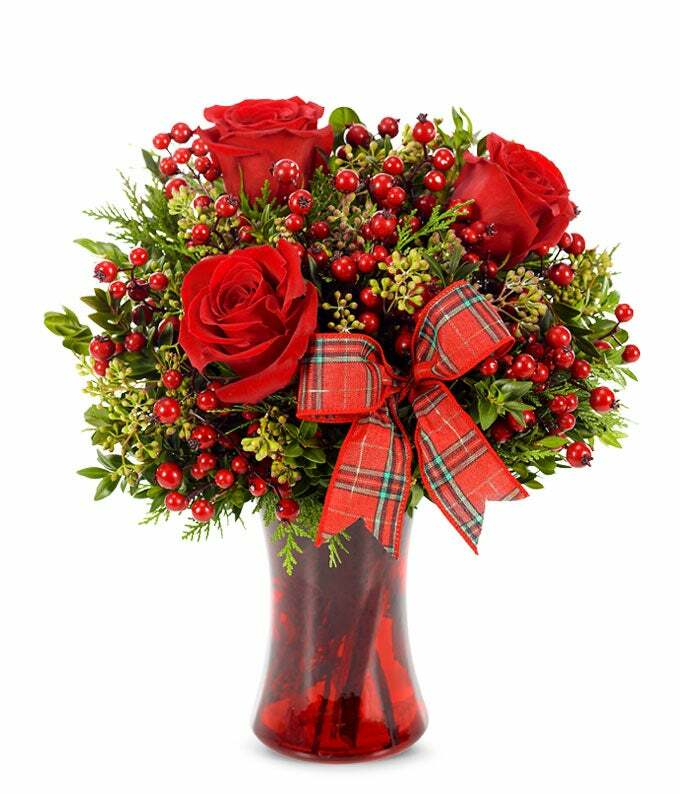 Available for delivery same day during the Christmas season, The Jingle Bell Bouquet will bring the holiday spirit directly to your recipient. Rich red roses are beautifully accented with red hypericum berries and seasonal greens. Hand-arranged in a red gathering vase, the bouquet is topped off with a decorative ribbon for a truly festive look.